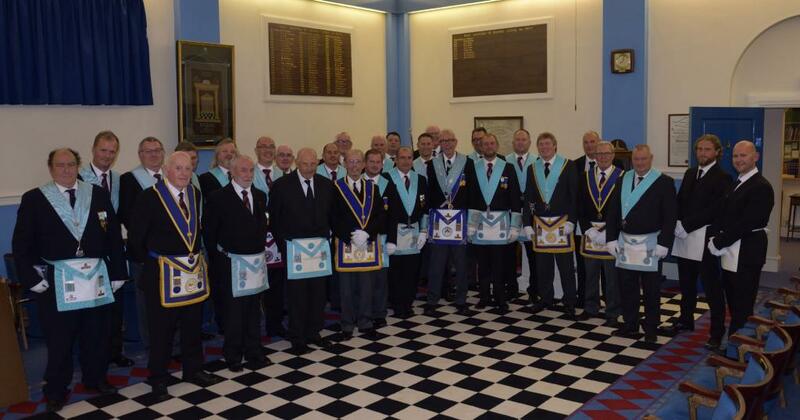 Basing Lodge, founded in 1934 is a Freemasons Lodge in Basingstoke, United Kingdom. With 50 members and in the North Central Area of the Freemasons province of Hampshire & Isle of Wight, Basing Lodge meet 8 times a year at the Basingstoke Masonic Centre. People from all walks of life become Freemason's for a number of reasons. Some are interested in the valuable work that we do in raising money for charity. A proportion of funds is used to assist Freemasons and their dependents in times of need, particularly the elderly or sick, but the greater part goes to non Masonic charities. Freemasonry is the ultimate leveler, a society where goodwill and friendship are paramount. We are a friendly Lodge who always welcome new members, so if you are interested in joining, please e-mail us. We also have a dedicated "Interested in Joining" page which outlines more about our meetings and membership costs.